I love tags. I love watching them on youtube and reading them on book blogs. I found this one and I thought it was so awesome, so why not! I would have to say Virginia Woolf, since I am writing my current thesis on her. For YA, I am thinking Melissa De La Cruz, since she has written a lot and I have read a majority of them and same goes for Richelle Mead. 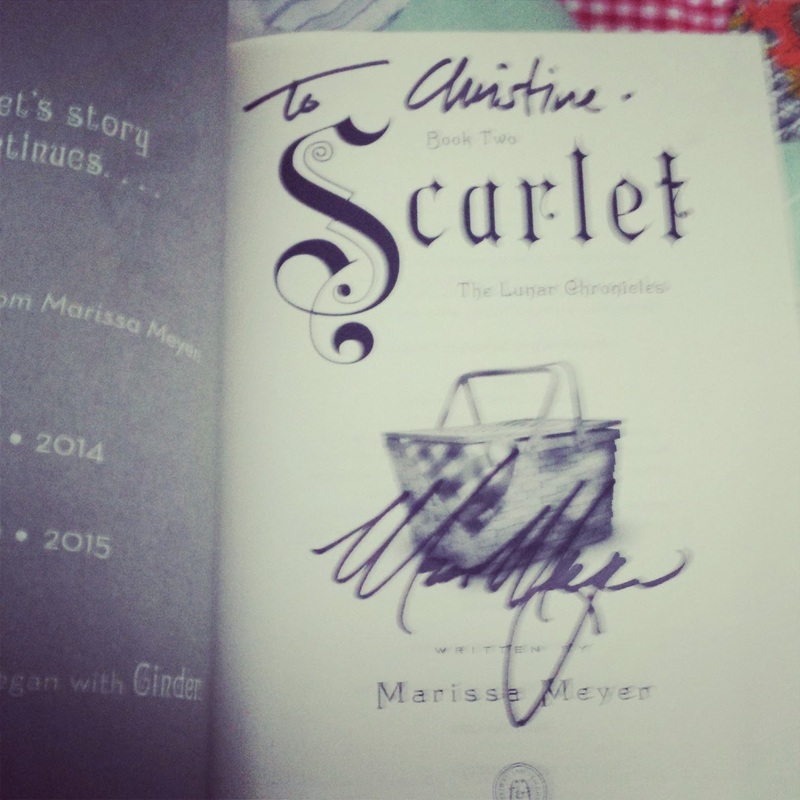 Scarlet by Marissa Meyer. I loved Cinder.. but I just loved LOVED Scarlet. A bunch of things at once.. which I don't like doing, but you know.. I have to, cause of school. I tried the E-reader for a bit.. but it is honestly now sitting on my bookshelf neglected and most of the books I bought on there, I now own a physical copy. You just can't beat a physical copy. WARNER. WARNER. WARNER. WARNER. WARNER. The book signings that I have been able to attend. Reaching my goodreads reading goal of 100 books last year. Not really interested in philosophy books. That book was just amazing.. and anything I read after that just could not compare. Two short ones, but they are double stacked and I have about 6 piles of books on my floor.. so yeah, I need some more shelves. I plan another re-read this year! My room is my sanctuary. So, my bed and my desk. The Caster Chronicles by Kami Garcia and Margaret Stohl. I have only read the first one. Like seriously, can you please be real? 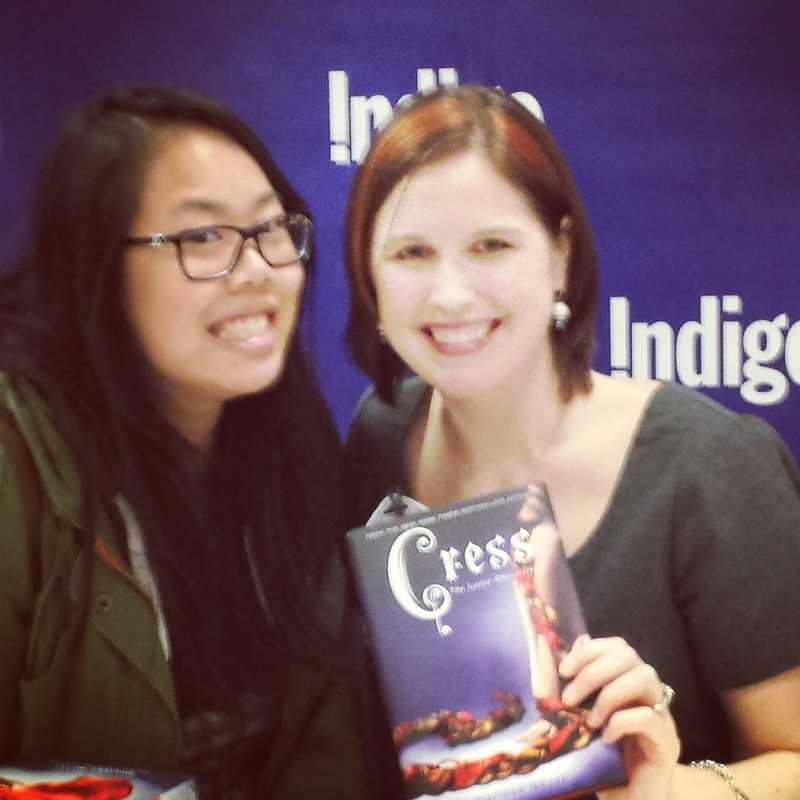 Meeting Marissa Meyer at Indigo Yorkdale! 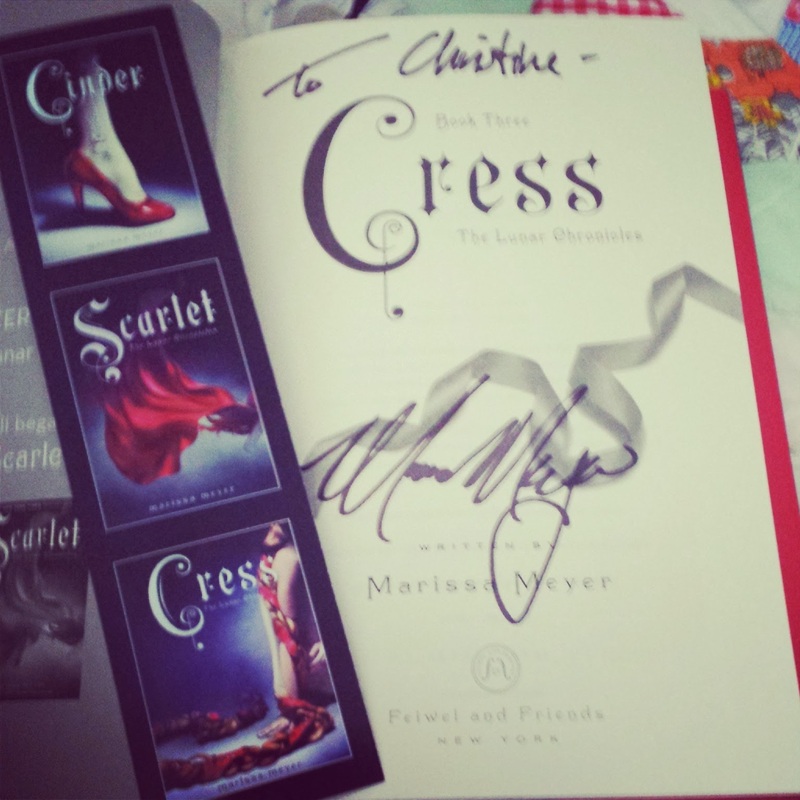 Yesterday, I got to attend a book signing at Indigo Yorkdale for Marissa Meyer. For those of you that don't know who she is, she is the author of the amazing Lunar Chronicles! The series includes: Cinder, Scarlet, Cress (recently released) and Winter (set to be released in 2015). This is her second time signing in Toronto and I didn't get to see her last time, so I was really happy I got to go this time. My bestfriend and my boyfriend came with me. 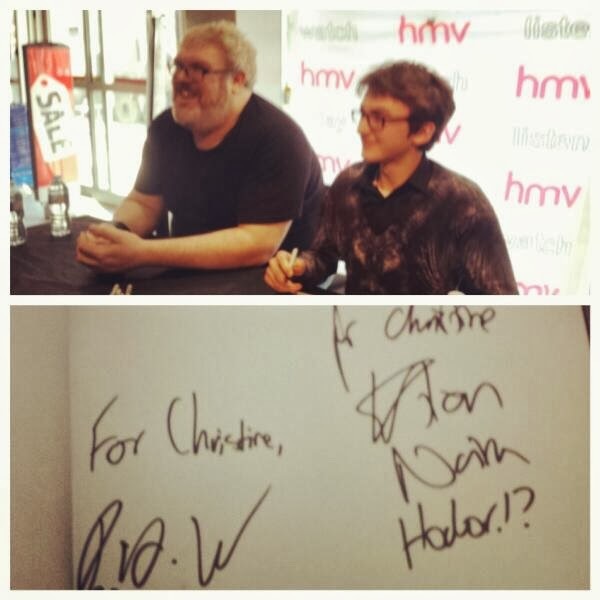 Remembering how busy the Rainbow Rowell signing was a few months ago, I knew we had to get there early and line up. It was a lot more organized this time around and we were all given numbers so that was helpful. 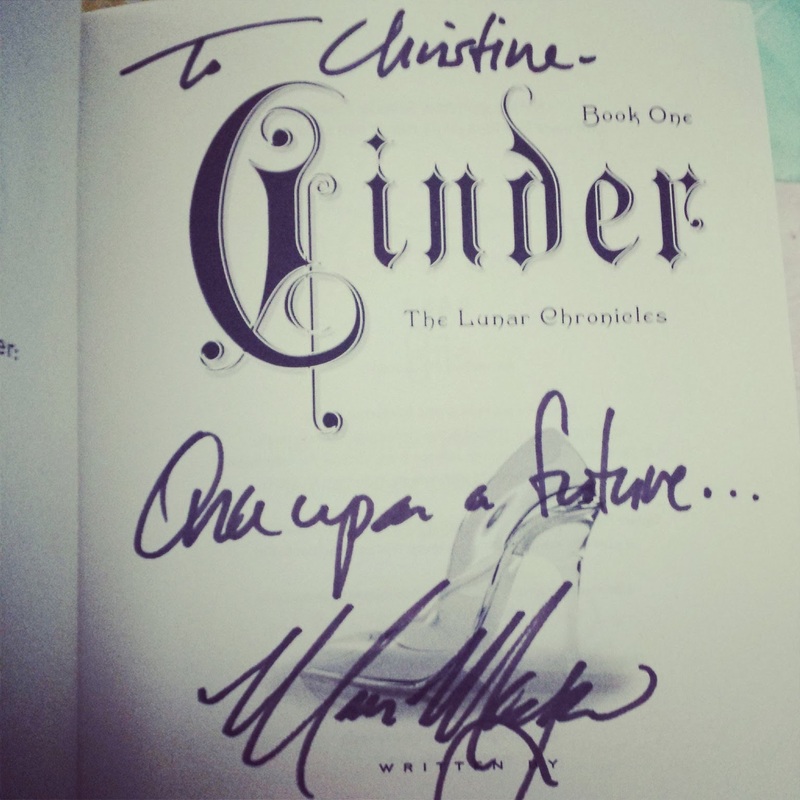 I loved Cinder and Scarlet so much, and I am thinking of writing reviews for them very soon and I really wanted to finish Cress before the signing, but I have been swamped with work that I am only halfway through it. We were there around 4:00pm, so three hours earlier, and good thing we were, because Marissa came by earlier and gave us all a Lunar Chronicles themed pin, so sweet! The signing started just on time and Marissa started the evening tell us, how she became a writer, what inspired her and the overall process of getting the books published. We learned yesterday that she is a huge Sailor Moon fan (which makes my moonie heart so happy~) and also a huge Trekkie too. She was so sweet and she ended the talk with telling us the original story by the Grimm Brothers about Rapunzel which was pretty fitting, considering Cress is about Rapunzel. 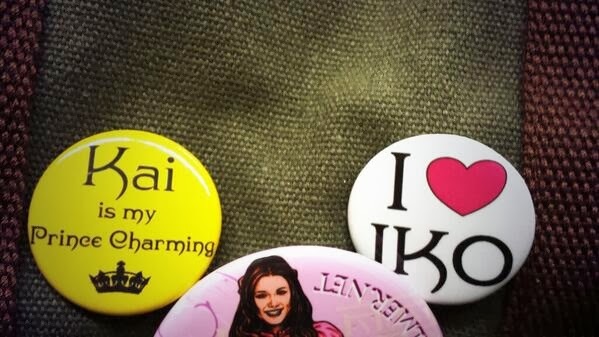 She then did some Q&A before signing and then at signing, she brought swag, so we all could get another pin, postcards and bookmarks! So awesome that she brought all of that along with her. When I got up there to meet her, I told her how inspirational she is, because she went through and did graduate school, which is what I am doing at the moment and she gives me hope! I have dreams of writing a novel at some point and her story was just super inspiring. I also told her how much I loved the stories and that she spoke about the Hans Christian Anderson and Brothers Grimm fairytales and we spoke about how gruesome the Sleeping Beauty one is. Overall, it was a really quick moment, but I got all of my books signed and I got a photo with her. Huge fan girl moment haha. 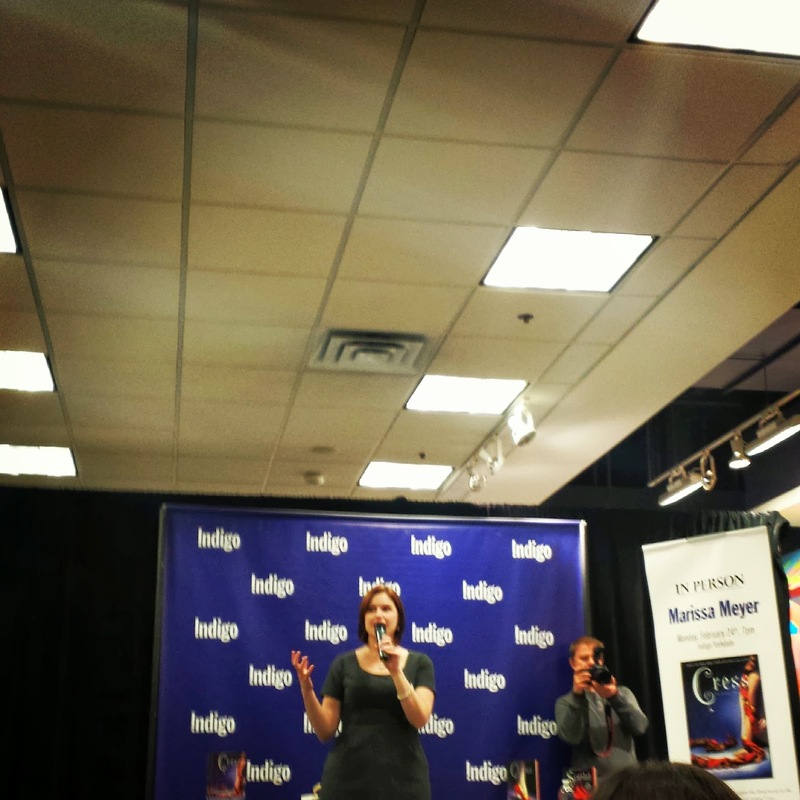 I hope she will return to sign her final book when that is released because I would definitely go again, I had a blast! Have you read any of the Lunar Chronicles books? Let me know in the comments. Reviews for each book will be up soon, so be on the lookout for those. So, SceneCreek held a contest to win tickets to see Pompeii in 3D a few days earlier than the release date, and I won! I took my bestfriend Nikki with me and it was our first ever pre-screening so we were pretty excited. The tickets were courtesy of eOne Films! The premise of the film is: Milo, the protagonist of the film (Kit Harrington - aka Jon Snow!!) slave and gladiator, set in the Roman city, Pompeii, must fight for his life and for the life of his love interest Cassia (Emily Browning). The antagonist of the story is Senator Corvus (Kiefer Sutherland) who attempts to pursue Cassia, even against her protesting. And of course, during all of this, deal with the approaching destruction of the city from Mount Vesuvius. Other characters that make appearances in the film include Atticus (Adewale Akinnuoye-Agbaje), a fellow gladiator with Milo who ends up being an unlikely ally, Ariande (Jessica Lewis), friend and confidant to Cassia and lastly, Aurelia and Severus (Carrie-Anne Moss and Jared Harris), who play Cassia's parents. I studied some Roman History in my undergrad and this film did portray the destruction of the city really well, even if they took a moment in history that happened relatively quickly and expanded it into a feature film length. The action scenes were really well done too. I thought all the actors did a great job and it was so interesting to see a film come to life that was actually filmed in Toronto! The only thing I disliked about it, was the kind of insta-love between the characters of Milo and Cassia, because that relationship ended up being more cheesy than meaningful. All in all, I liked the film, but I did not love it and therefore, I gave it a 3.5 stars rating. I want to thank SceneCreek and eOne films again for the opportunity to attend this screening, I really appreciate it! Also, I keep track of all the movies I watch here in a type of scrapbook format, so I won't always write movie reviews and you can just check there to see what film I saw and what I would rate it out of 5 stars! Have you seen Pompeii? If so, what are your thoughts? And if you haven't, are you planning on it? Pompeii hit theatres yesterday and is NOW in theatres, so check your local theatres for listings and times! Addicted to The Walking Dead. 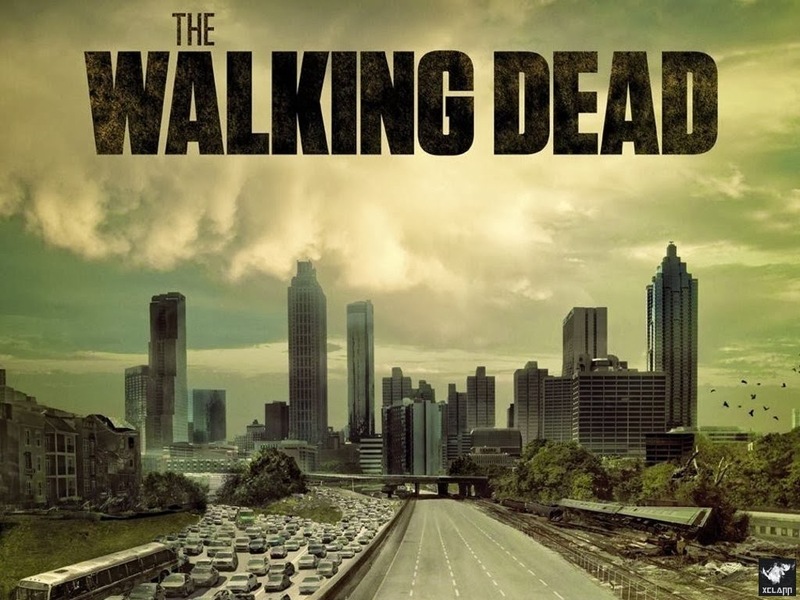 Yeah, so I am pretty much the last person on earth to start The Walking Dead. My boyfriend is a huge fan of the show and has been since the beginning, so I have watched a few episodes here and there, but I honestly never really got into it because I was a chicken. I remember the first episode and there was an animal being mauled to death by some zombies and the scene was so gruesome, I just did not want to watch anymore of it. Now flash forward to last Sunday, I decided to watch the two recent episodes with the boyfriend and I really enjoyed it and it was not all that scary (well it was, but I did not hide and cower in the corner). 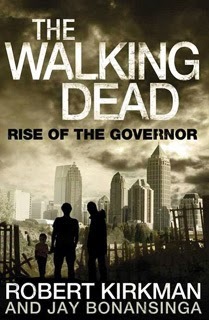 After that, I decided to start from the beginning again (even though yes, I know some key character deaths and the Governor), I didn't care.. and it is seriously one of those shows that is worth all of the hype. 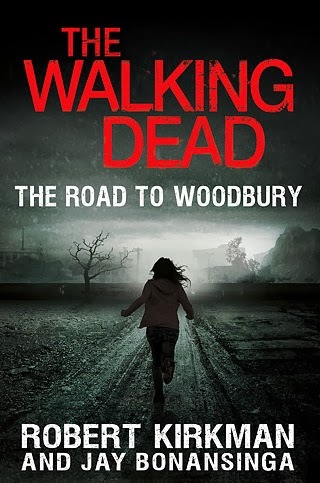 It was so engaging and the characters are so complex (not the zombies, duh!) and let's be serious, I adore Rick Grimes like no other. 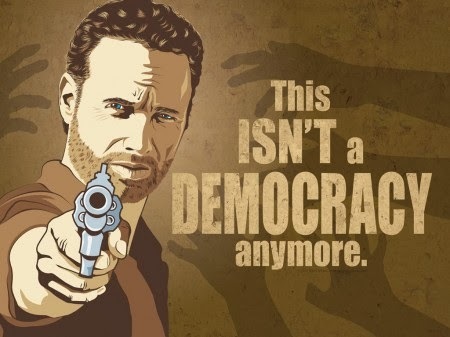 Not only is he a gorgeous protagonist, I genuinely just agree with him, and if there was a zombie apocalypse forreals, I would do everything he did thus far (I think, I am up to mid season 2 now). Also, in the same sphere as the TV show, my boyfriend owns the graphic novels and I have read the first 4 now in the series and I am addicted. I can totally read the graphic novels and watch the show at the same time and view them both as separate entities. 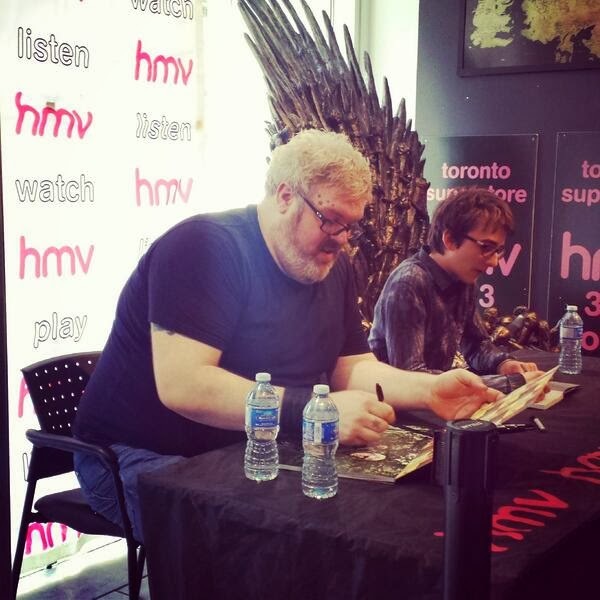 The show has taken the characters and the world but interpreted it a different way, and in my opinion, the graphic novels are a lot more graphic and adult in content compared to the TV show. I am really enjoying them so far and me and the boyfriend now own all the issues that are out currently, so I am sure I will be flying through those in no time. I was thinking of writing reviews for them, but I wasn't sure.. or maybe, I could do blog post reviews for a few of them at a time? Let me know what you guys think. 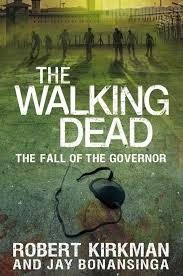 Also, there are novels from the world to, and there are three right now and they are about the Governor and I am definitely interested in reading them at some point. They have good reviews on goodreads and it will be interesting to read from the perspective of a different character and learn more about the infamous villain of the series. Anyways, all in all, the basic point of this post was to tell you all that I am currently obsessed with all things The Walking Dead, so brace yourself for some reviews related to those things. 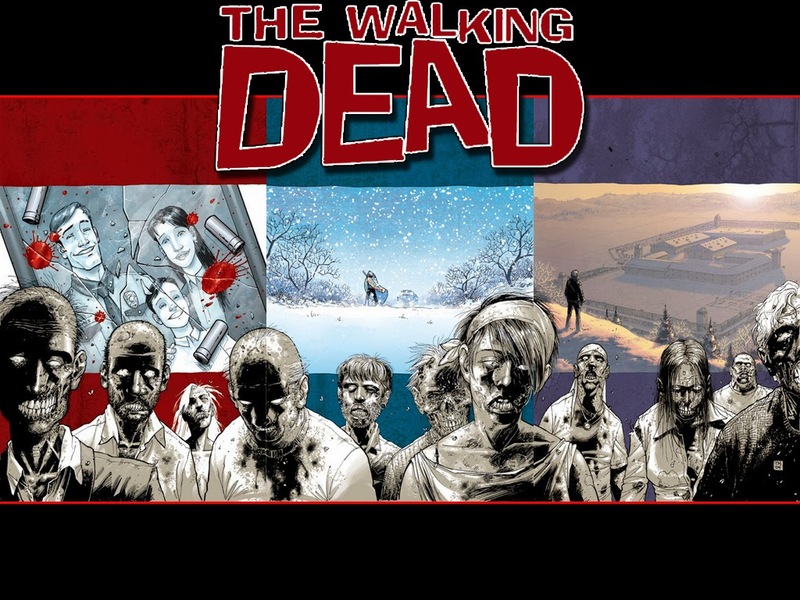 Lastly, Toronto Comic Con is in a few works and Tony Moore who worked the Walking Dead graphic novels is going to be there, and I am like giddy with excitement! Maybe he can draw me with Rick. Sorry Lori, he is mine. I finished Ignite Me and I am currently in withdrawal. Ignite Me by the beautiful Tahereh Mafi, is not officially released yet, but thanks to Chapters, I received my pre-order (both paperback and hardcover-because I hope one day T.M. will come to Canada to do a book signing and deface my hardcover copy with her pretty caligraphy). I devoured it overnight, literally. No sleep. I.could.not.put.the.book.down. It was all kinds of amazing. And now, I am in a reading slump? I am not sure what I want to pick up next, because, I just want more Warner. I want more chapters and passages with him. I adore that character so much, it is insane! I just want more. I can't believe the trilogy is already over and this saddens me greatly.